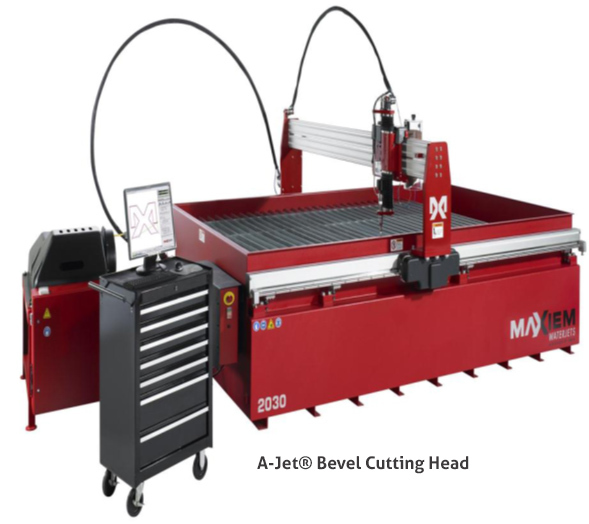 "One Of Only Three In New Zealand"
With the MAXIEM 2040 (2mtr by 4mtr bed) abrasive water jet cutter we can provide complex cutting of virtually any material at any thickness while producing minimal waste. This state of the art technology offers flexibility and fast turnaround from prototype to production. We are dedicated to providing the highest quality, most cost efffective solution to your machining needs. Call us to discuss your specifications or email your DXF file and we will provide a quote.